We can only help if you live in our coverage area which is Central and West Coast Florida. This means you MUST live in one of these counties: Citrus, Charlotte, Collier, Desoto, Glades, Hardee, Hernando, Hendry, Highlands, Hillsborough, Lake, Lee, Manatee, Marion, Okeechobee, Orange, Osceola, Pasco, Pinellas, Polk, Sarasota, Seminole or Sumter counties. 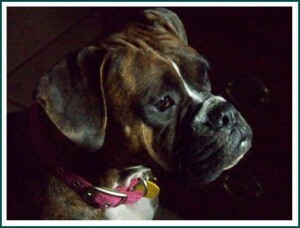 If you live in North Florida, contact our friends at Boxer Aid & Rescue Coalition (www.boxerarc.org). If you live on the East Coast of Florida, contact Coastal Boxer Rescue (www.coastalboxers.org). Note: FBR should be contacted regarding any Boxer previously adopted from FBR whose family needs to return it to FBR. Our first priority always has been and always will be Boxers in shelters who need our help as they only have days to live. They have no one but us. FBR is always in short supply of foster homes available for owner surrender dogs. We do our very best to help as many Boxers as we can, but please understand we receive multiple calls every day for owner surrenders, strays, abandoned dogs and dogs in shelters. We simply don’t have the resources to help every Boxer every time. We are only able to take in owner surrenders when foster space allows. FBR should be considered a last resort after you attempt to place your Boxer with a trusted family member or friend. Regretfully, we are unable to take Boxer mixes into rescue unless previously adopted from Florida Boxer Rescue. If you have a Boxer mix you no longer wish to keep in your family, we will attempt to refer you to an all-breed rescue that may be able to help. Can we help you keep your Boxer? 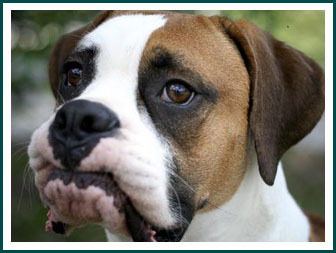 It is our goal to help you find a way to keep your Boxer and we will happily provide resources for you to do just that! Our pets are living creatures who are capable of fear, love, pain, loneliness, and joy. It is our position that pets should never be considered disposable property, but that they should be considered members of the family. We also understand that very unfortunate circumstances do arise when owners must give up their pet; however, we encourage you to work to find a solution to the problems that you may be experiencing with your pet BEFORE trying to rehome him or her. Many issues can be resolved with a little time and effort, and, in turn, there will be one less animal who needs to be rescued. So please, make every attempt to keep your pet, it might cost him or her their life otherwise. Even if you can no longer keep your Boxer, he is still your responsibility and he depends on you to do what is best for him. He needs you to make the right choices for his future and deserves your best efforts. Click on the link below to contact Dogs on Deployment, a national 501(c)(3) non-profit that aids pets of all types that belong to active duty, reservists, guard, honorably discharged veterans and their families. DoD provides a central network for military members to find volunteers willing to board their pets while they are deployed or have other service commitments, making them unable to temporarily care for their pets. No pet should ever be surrendered to a shelter due to a military commitment. DoD exists to help military members keep their pets by alleviating the need for pet relinquishment from military members due to the hardships of deployments. Are you considering placing your Boxer on your own? Please do not give away your Boxer for free or list him for free in the newspaper or on Craigslist. There are people who look for free dogs and then sell them for research, to be used as bait in dog fighting groups, etc. Always charge an adoption fee which will discourage these collectors and help protect your Boxer. Be responsible and have your dog spayed/neutered before leaving your home. Many shelters and humane societies offer low cost spay/neuter programs. Check vet references and their identification, and do a home visit for anyone who is considering your Boxer. This is what WE do! Do you still need to surrender your Boxer? Option 1: Due to the limited number of foster homes, if your Boxer is spayed/neutered (you will need to provide documentation), you may choose to keep your Boxer in your home and continue to care for it, keeping it safe and indoors, until we can find an approved adopter, and we will provide a courtesy listing on our website. You will provide us with current photos and a bio to feature on the dog’s profile and we will post your Boxer on our Available Dogs page as an owner surrender and begin looking for a suitable home. FBR volunteers will screen applicants for your dog by checking vet references, phone interviews and a home visit. We will contact you to arrange a meeting when we have a qualified applicant. You know your Boxer best, and will know when the perfect family is found. This is the preferred way to find your Boxer a new home as it is less stress and trauma for him. We do ask that you be patient as it can take time to find the right match. You will need to submit the online Surrender form below and a volunteer will contact you re: posting your Boxer on our site. There is a $20 administrative fee for this courtesy posting which must be paid in advance. FBR reserves the right to refuse to post any dog for any reason. Option 2: If you would like FBR to consider pulling your Boxer into rescue and placing him into a foster home, please fill out the Surrender form below. By filling out this form, FBR makes no guarantee that we will admit your Boxer into our rescue program. The purpose of this form is to obtain information in order to assess the dog’s needs and placement in an appropriate foster home, so it is crucial that you are completely truthful with the information you provide on this form. If a question does not apply, please select “Not Applicable” rather than leaving it blank. When the fully completed Surrender form is received you will be requested to provide current photos of your Boxer. We will need a head shot and a full body shot. WE CANNOT CONSIDER YOUR REQUEST UNTIL WE HAVE PHOTOS TO VERIFY YOUR DOG IS A PUREBRED BOXER. Please understand we are unable to place your dog in a foster home on the same day you complete this form, so please plan ahead. It may take several days or weeks for a foster home to become available. If your situation is urgent please mention this in the comments at the bottom of the form. There is an administrative fee of $20 to surrender your Boxer to FBR and is payable at the time you sign the Owner Surrender Release Form and transfer custody of your Boxer to FBR. Florida Boxer Rescue utilizes the online donation services provided by PayPal. You can choose to pay through your PayPal account or with your credit or debit card. Please note: the above address is a drop box intended to receive donations, and other mail correspondence. Because of the large geographic area we cover in Florida we do not have a central physical location. Florida Boxer Rescue, Inc. is a 501(c)(3) non profit organization whose sole purpose is to find permanent and loving homes for neglected and abandoned Boxers who are in shelters and also to assist owners who must find new homes for their beloved Boxer dogs. The organization is fully staffed by dedicated volunteers and all Boxers in our program are in foster homes where they can receive love, attention, and any medical assistance needed.